NEARLY NEW and Comes with 2 FREE paddles worth £45! Available for phone Purchase only. 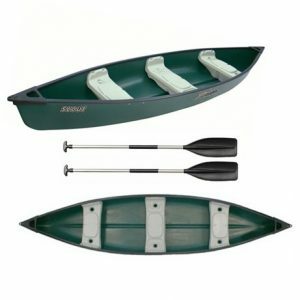 The Mackinaw 156 Deluxe Canadian Canoe is supplied with lots of features that most families will find useful. 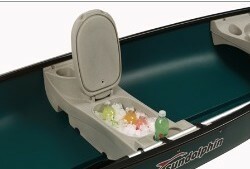 A cool box moulded into the centre seat, drink holders moulded into each of the three seats and a dry storage compartment located next to the cooler. (Which allows for the safe storage of car keys, wallets, cell phones and jewellery etc) This canoe can be transported on a good quality car roof rack. The hull of the 156 is made of a high-density single skin Fortiflex® polyethylene which makes the boat extremely durable, stable, light and manoeuvrable and will resist normal abrasion very well. The hull is UV-stabilized (so you will not have to worry about sun fading and damaging your boat). 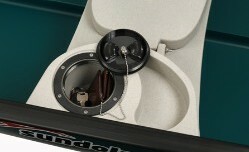 The deck and hull are covered by a two year Manufactures warranty. This canoe will provide years of fun for family and friends. With a working capacity of 327 kgs, the canoe is large enough to carry three adults and their equipment on an extended trip. This canoe will manoeuvre into spots other longer canoes would find troublesome. With a width of 40 inches and keel it is a very forgiving family canoe when it comes to stability, and is ideal for exploring slow moving rivers, lakes and canals. 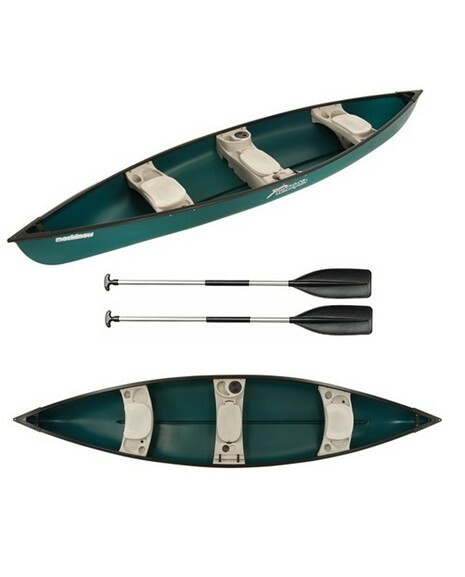 The Mackinaw Canadian Canoe for sale is manufactured by KL Industries Inc one of North America’s largest manufacturers of all season outdoor recreational products.